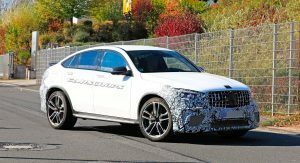 Mercedes-AMG’s GLC63 duo of high-performance SUVs had their world debut less than two years ago at the 2017 New York Auto Show. 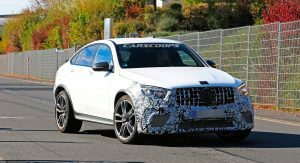 So why is the automaker already testing facelifted versions for the GLC63 and GLC63 Coupe? 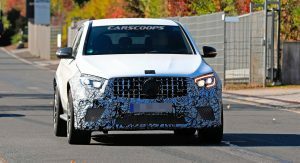 We really can’t say, but the truth is both the SUV and the “coupe-SUV” have been spotted on and around the Nürburgring Nordschleife. 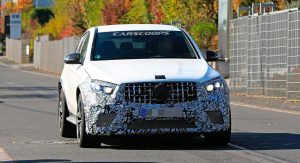 Both models sport the same changes as the regular GLC spied earlier this year, but the Coupe carries more camouflage than its more practical sibling. 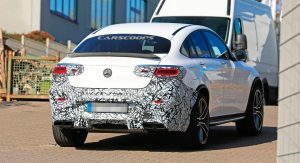 The front and rear bumpers get the bulk of the disguising material, highlighting the areas that will see most of the changes. 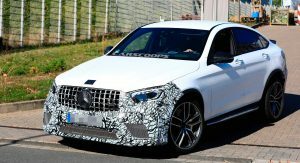 At the front, the GLC63 Coupe gains a pair of updated headlights with a new DRL signature, a new grille, and a sharper-looking fascia. 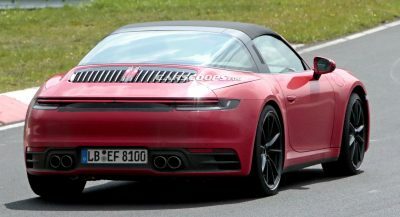 At the rear, the taillights gain a refresh and the bumper gets a slight makeover too. 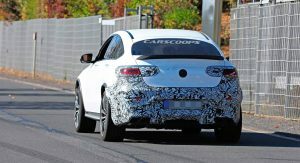 In addition, we might see a slightly bigger rear diffuser when the GLC63 Coupe is ready for its reveal. 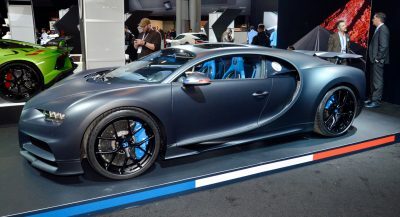 Power will continue to come from the same 4.0-liter twin-turbo V8 engine, available in two states of tune. 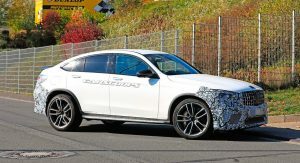 Mercedes will carry on with the AMG Speedshift MCT 9-speed transmission and the 4Matic+ all-wheel-drive system as well. 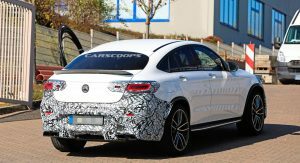 Don’t expect power bumps, as the current GLC63 Coupe isn’t quite lacking in the engine department. 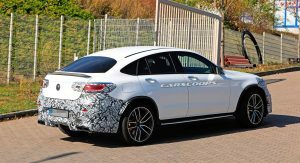 The “entry-level” version pumps out 476PS (469hp) and 479 lb-ft (650Nm) of torque, while the GLC63 S Coupe has 510PS (503hp) and 700Nm (516 lb-ft) at its disposal. 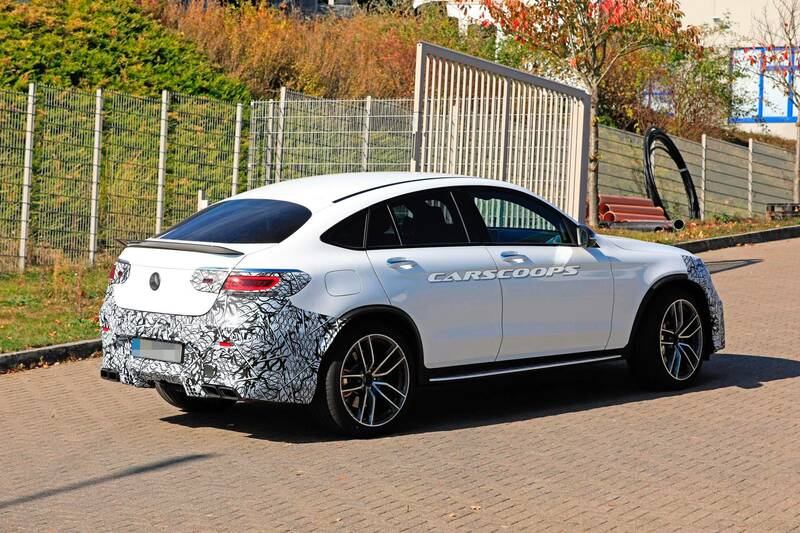 Inside, the GLC63 Coupe and GLC63 S Coupe will see their infotainment and safety systems brought up to date. 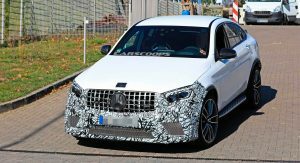 As with the regular GLC63, Mercedes-AMG should launch the GLC63 Coupe and GLC63 S Coupe in late 2019, with sales following in early 2020. ..why are Coupe Crossovers even a thing? I don’t get them at all. Is there even a target market for these things? 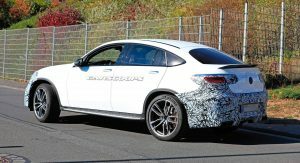 If there wasn’t a market for them then BMW, Mercedes, Audi, and many other brands wouldn’t be making them, and multiple sizes of them at that. 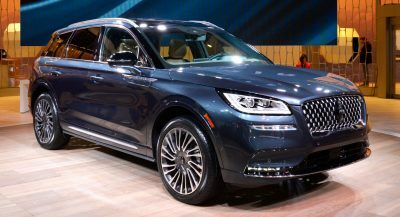 The crossover market is huge, with it, people will want all the same variants that were/are offered in the sedan market, thus Crossover Coupes were born, just like 4 door coupes. They’re pure luxury items. 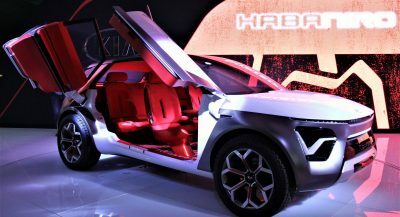 They tell everyone else that the person who bought one doesn’t need the practicality of a traditional SUV, they can afford the less practical version and all the additional costs associated with them, i.e. having to either buy or rent another vehicle when they need to haul something. 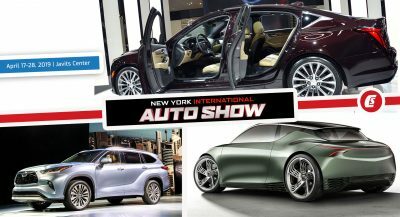 Just like regular coupes, but surprisingly these crossover coupes can be somewhat practical. 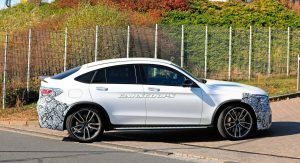 I owned a GLE450 coupe briefly and liked it quite well, it was nice to drive, nice to look at, there aren’t many others on the road so the exclusivity is also a factor. 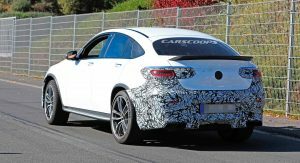 I think the main buyers of the coupes are older indviduals who are empty nesters that don’t need the utility factor as much and want the rakish look of a sedan or sportswear. My sister has a GLC. She got rid of the GLS when the kids grew up and out. She loves it. 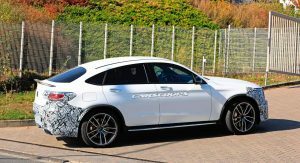 Ford’s upcoming crossover will be a performance-oriented model that slots between the Edge and Escape.